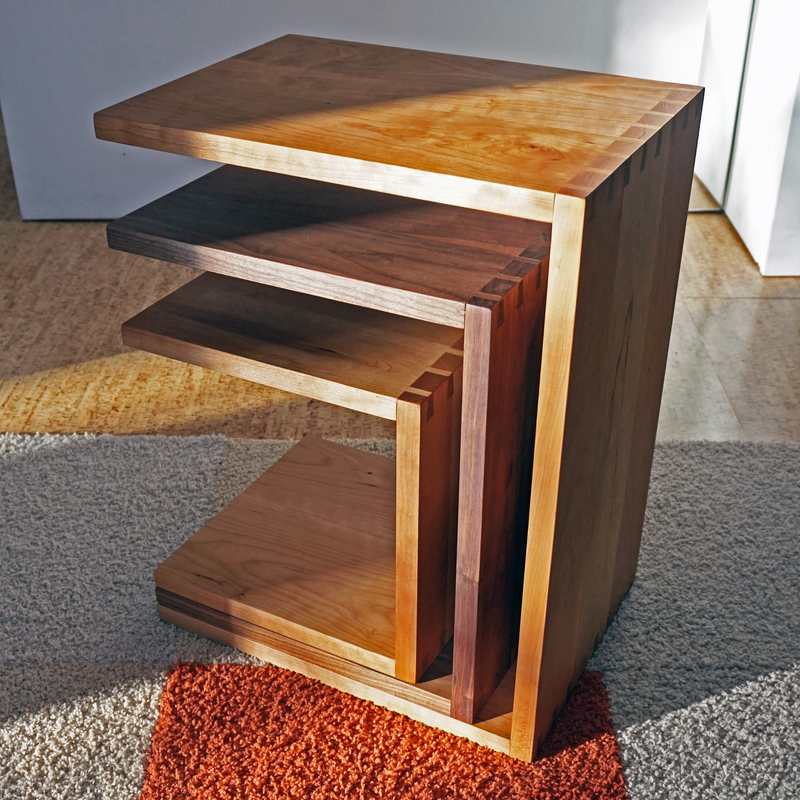 All pieces are thoughtfully designed and constructed using time-tested joinery techniques. Dovetail, mortise-and-tenon, and other interlocking joints are crafted with precision, using the inherent strength of the wood to provide a long life without screws or nails. Each design allows for the expansion and contraction of the wood due to climate changes. Sometimes life gives you the opportunity to create something really special. Getting to work hand-in-hand with a piece of furniture’s new owner during the creation process is one of the most rewarding things about the work I do here at Southern Joinery. Recently I got two such opportunities and the results are fantastic. These two beds required months of planning and crafting to fulfill two of my customer’s dreams. Both are queen size platform beds with built in floating nightstands and clean, sleek lines. The first I crafted from Sapele, an African wood species known for its wide variety of figured grain patterns. 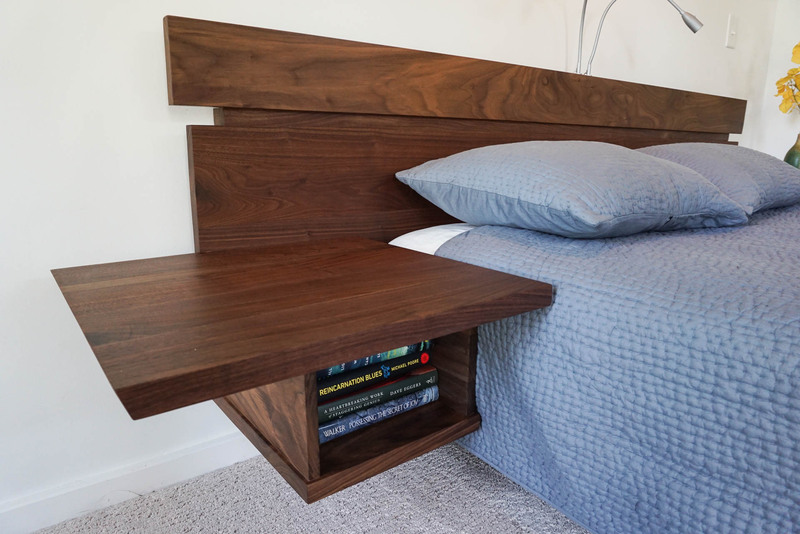 It has a distinct Danish Modern influence particularly visible in the legs of the bed. I built in a drawer for storage and an under shelf on each side. A power strip was installed at the back of the shelf for a convenient charging station. The new owners were particularly pleased! queen size bed we of course thought of him! 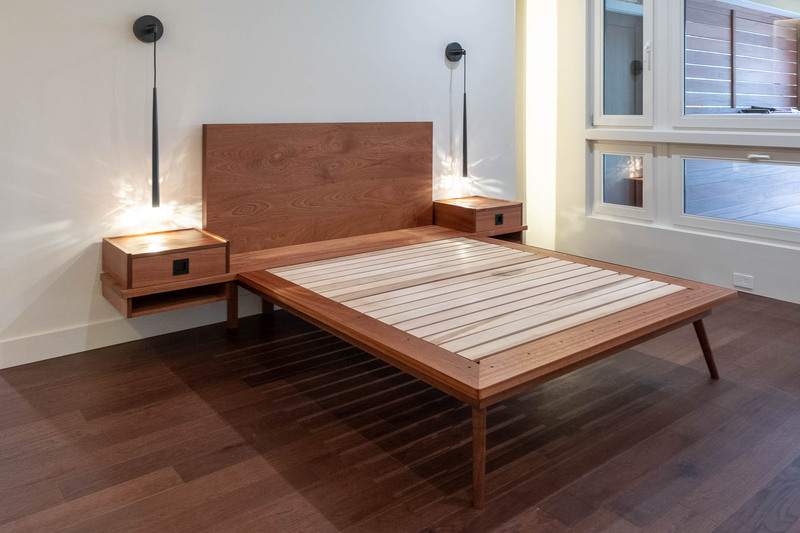 The second bed, made from Walnut, was similar because of the fact that it was crafted in three major components; the platform, the headboard, and the protruding cantilevered night stands. 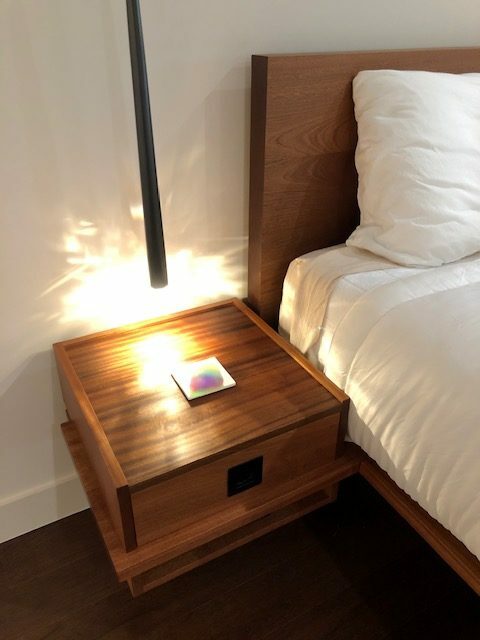 This created an effect on both beds where the night stands seemingly float beside them. Now that these two great projects are complete, it’s time to begin something a little different… details coming soon. Make sure to sign up for my email list so you never miss out on a new blog or sale! 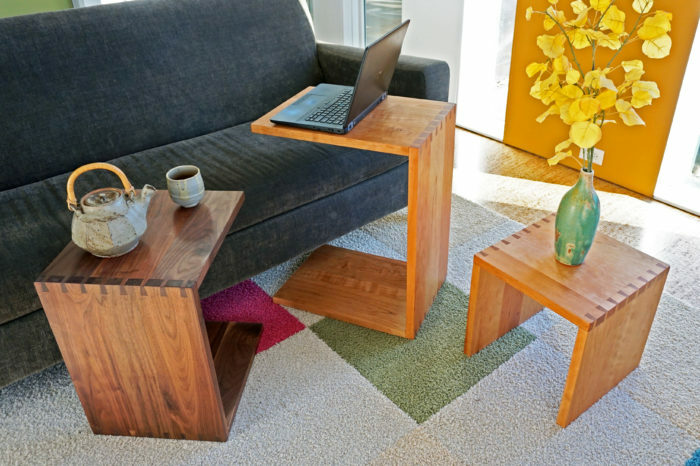 These EmbraCing Tables are pleasingly simple to the eye but spectacularly functional for any modern home. Designed by Architect Tim Harrison, they showcase the dovetail joinery and natural wood grain of the Cherry and Black Walnut wood, while providing unparalleled functionality. They are easily portable and can be intertwined when not in use, or used individually as end tables, a foot rest, or a step stool. The C shape makes it easy to pull one up to your couch or favorite chair for comfortable internet surfing or eating. 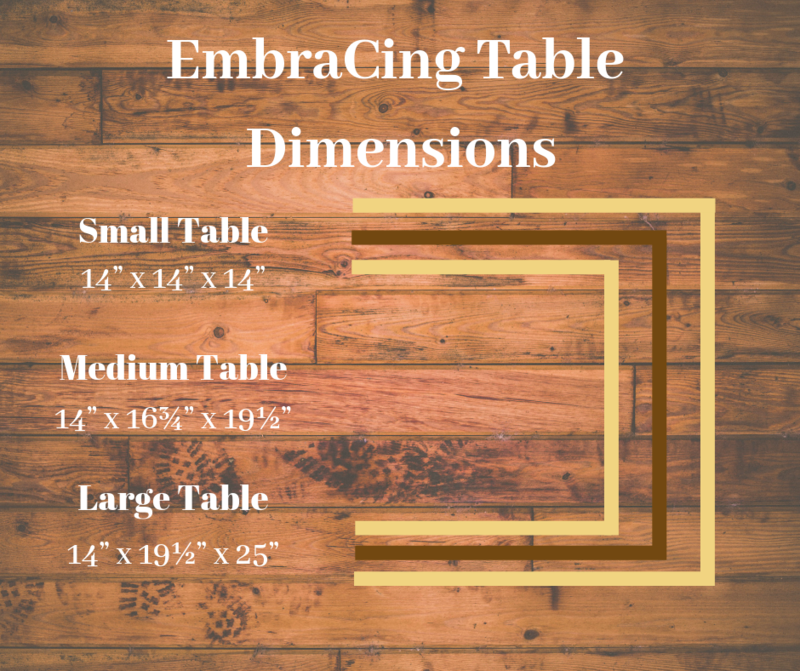 Interested in purchasing your own set of EmbraCing Tables? Want a few little tweaks here or there to make them yours? Contact me at (706)-766-9705 or through email at info@southernjoinery.com. Bob Harris, Rome GA artist and fellow woodworker, collaborated in designing this dresser for his bedroom in his newly renovated home. Bob’s inherent eye for beauty complements his meticulous attention to details, so I was enthusiastic about getting this project started. Bob came to me with a vision in mind that combined two pieces from my collection of contrasting styles that are not normally seen together in the same room. He chose a Mission- style Ten Drawer Dresser and an Asian- style Chest. He took the two-panel sides and beveled edge profile of the top of the chest, along with the side-by-side drawers and arching bottom rail of the dresser. He specified similar proportions to the ten drawer dresser reconfigured as a seven drawer dresser with three top drawers and four deep divided drawers. The piece served two major functions—organizing personal items and providing a base for a television that was the correct height for viewing. Bob requested American Cherry as the primary wood accented with Walnut burl pulls. 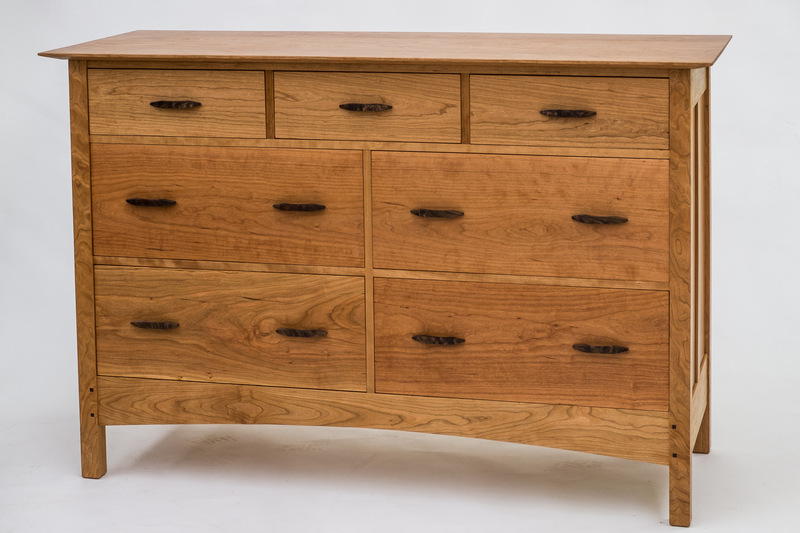 The matched wood grain patterns flow across the drawers, enhancing the natural beauty of the cherry, while the design elements from the pulls and pegs create a stunning contrast to the overall red tones of the piece. Southern Joinery’s signature silky smooth Tung Oil finish, mortise and tenon construction, and easy gliding drawers remain distinguishing features of each piece. Visit Southern Joinery LLC's profile on Pinterest. "We discovered Southern Joinery about ten years ago. Over that time, we have acquired a number of pieces of furniture for our home in Atlanta. 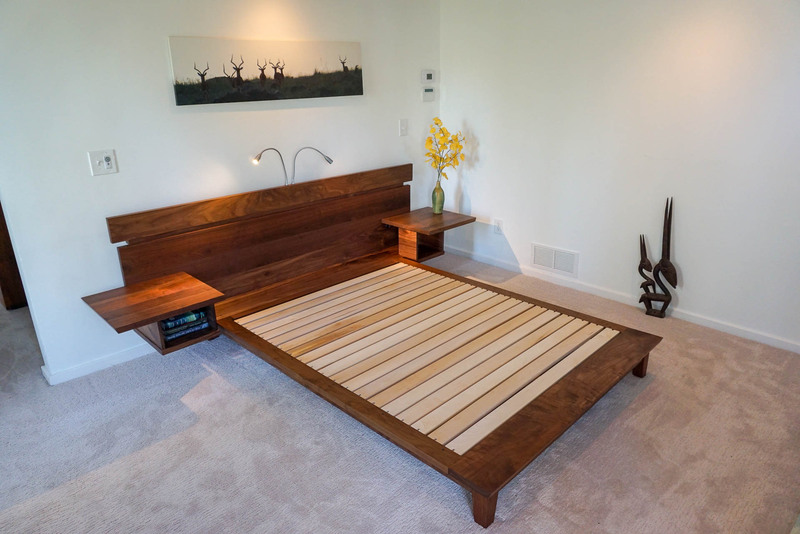 Working with our architect, Ben produced a cherry bed, a walnut bureau, and an ash dining table. Our appreciation for each piece grows greater each day. These pieces are destined to be family heirlooms."